The Apprentice‘s Jessica Cunningham and Courtney Wood have confirmed a romance. The series’ candidates had already been linked together whilst filming for the BBC business competition. However, Jessica and Courtney both played down the rumours ahead of the final on Sunday night. A source recently insisted that the pair are in fact together despite Jessica’s claim that they are just “good friends”. Talking to the Daily Mail newspaper, the source revealed that the two of them are actually preparing to go away together for Christmas. Speaking to The Sun newspaper, Jessica confirmed the report and confessed that there was a romance between her and Courtney while they were on The Apprentice. “To be fair we did have a romance on the show. It is early days now. We are seeing how everything goes. “He is a good-looking lad. He is charming and considerate. Unfortunately, Jessica and Courtney both failed in their quest to win Lord Alan Sugar’s £250,000 investment after Alana Spencer was hired as Sugar’s new business partner on Sunday night. But who needs money when you’ve got love, eh? 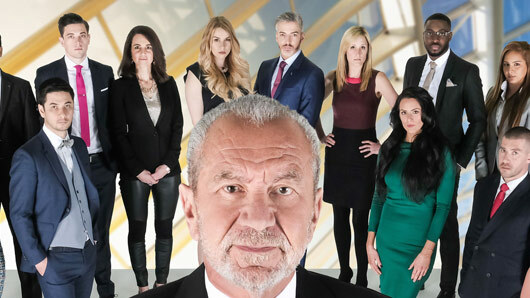 The Apprentice will return to BBC One next year for a thirteenth series.